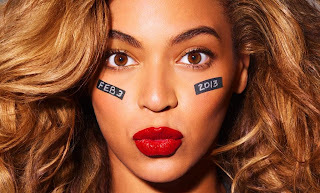 The Super Bowl 2013 half-time show will be performed by Beyonce. Looks like she wants to share the stage with the girls from Destiny's Child. Kelly Rowland and Michelle Williams will join Beyonce on stage during the Super Bowl 2013 half-time show to perform the new single Nuclear. Nuclear marks the first single after a 8 year break. The song will be released on a new Destiny's Child compilation titled "Destiny's Child - Love Songs." Do you see what is going on? The record labels try to maximize the impact of Beyonce's Super Bowl performance by resurrecting Destiny's Child. Quite smart. Update: Destiny's Child band member Michelle Williams says that there is no reunion of Destiny's Child at the Super Bowl. Via Huffington Post.